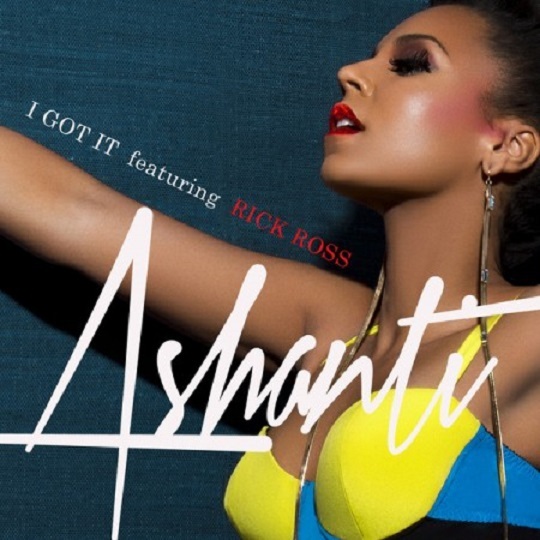 Ashanti is back in the mix with her new single, “I Got It,” and the track also features MMG front man Rick Ross. Backed by vibrant keys and choppy claps, the singer has some fun and gets explicit with her love interest about her bedroom predictions and seductive ways. Though the song originally premiered back in July as a radio rip, the official version now boasts an all new verse from Ricky Rozay. “I Got It” will be featured on Ashanti’s forthcoming album, Braveheart, which is scheduled to hit shelves early 2014. This entry was posted in Audio and tagged ashanti, i got it, MMG, Rick ross, ricky rozay, single. Bookmark the permalink.